In Meinhardt, we create responsive consultants that provide a “one stop” approach for total project delivery, offering clients original and highly buildable design solutions that satisfy their cost and time requirements, ensuring that specific design objectives are met in order to provide high quality designs. We provide business technology solutions and managed services, doing much more than simply deliver technology or provide outsourcing; we work collaboratively within our company as well as with our partners and customers. 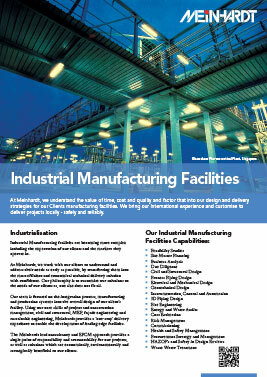 With our dedicated team, Meinhardt can build a strong understanding of construction projects and design, can work closely with other technical service teams and external service partners to provide the clients an integrated design management service aimed at delivering high end solutions and effective design to all projects.